The Hall offers a suite of three classrooms on the first floor. It is ideal for clients looking for a space for meetings, training and class-based lessons. 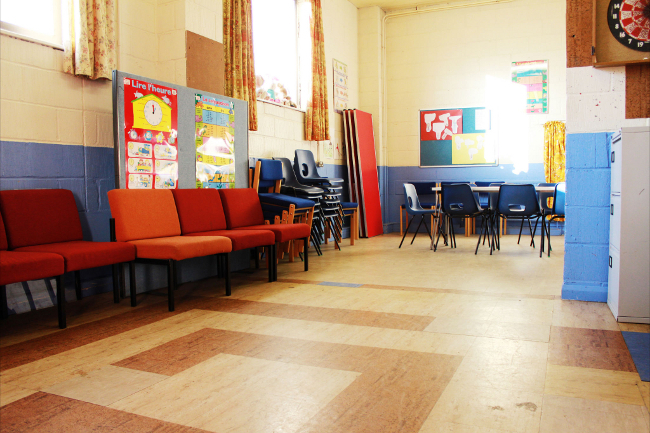 Regular clients who hire the suite of classrooms include language schools, drama, Pilates and youth clubs. This self contained suite of rooms has it's own kitchen and bathrooms, and is accessed by stairs from a separate entrance from the car park. Please note there is no lift access to this floor and the classrooms are on different levels. Limited storage can be offered to regular users.